This chocolate and mint blend is delectable. 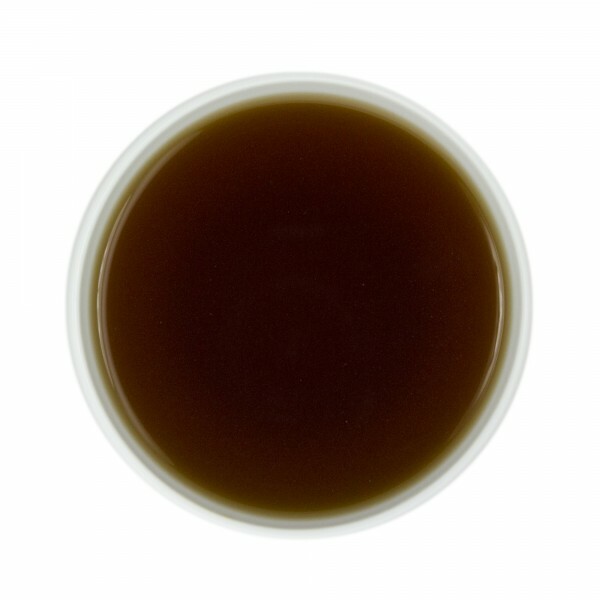 Put on earthy pu'erh leaf, it has great balance and minty clean finish. The creation of this tea arose from a request by one of our employees. We like it so much that it was only logical for us to share it with you. This is a very good tea. A little more earthy than I was expecting, (thus the 4 stars) but I love the mint. Adding a little sugar makes it great for me. I think my favorite thing about it is the scent. I think it has a very fun taste. I would drink it when I am craving something sweet. It really only needs the chocolate swirls and peppermint to sweeten it. I am a new tea drinker and I received this as a sample with my travel mug. I immediately ordered a 3oz bag and I love it. 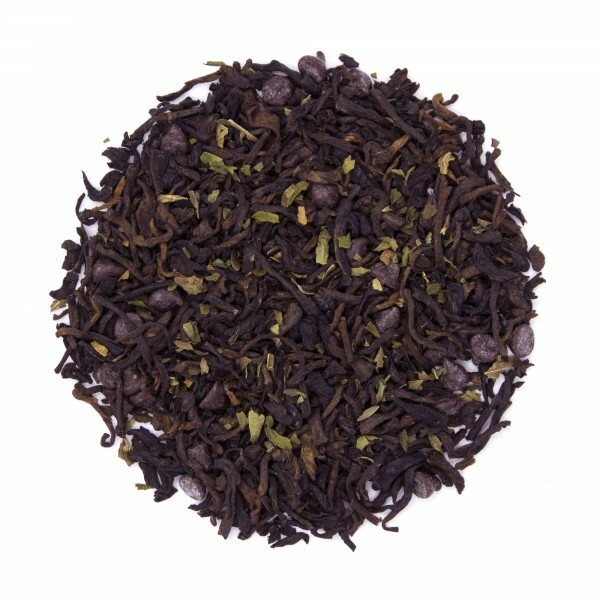 I am a new tea drinker and ordered this as a sample with my travel mug. Loved it. Ordering more now! I received this as a sample and had to order a full size the next day. Chocolate and Mint: What's not to love? This tea has real chocolate curls in it. It smells heavenly and tastes just as amazing. Just enough caffeine for a little boost. this is a very nice tea and i enjoy it, but i do miss the chocolate covered strawberry, which is/was one of my favorites ! ! ! I think I like the Orange Vanilla Chocolate Puerh better. This has that kind of overpowering effect mint can have. I don't pick up much chocolate. Still, very nice, very minty. Very easy to drink!